For writers who are traditionally published, the publisher is generally responsible for cover design – and this can lead to disappointment when the cover doesn’t really match the author’s expectations. But in self-publishing the cover design is the solely the responsibility of the author. This is both good and bad. You can create a cover that is true to your book’s contents, but if you’re not a graphic designer or artistic, you’re in danger of creating a cover that doesn’t look professional, even if it’s conceptually correct. So you should probably get help from someone who knows what they’re doing. But let’s talk concepts. 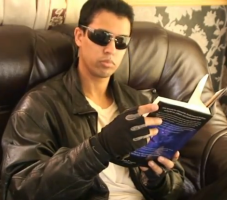 You know your book better than anyone. Aside from the major story, you know the little things, and even the symbolism. One article I read recently strongly advises against getting caught up in the symbolism, because the cover is really a kind of sales pitch and not art for the sake of it. At the same time, your book cover must reflect something about its core message. What is it about? What is it saying? My first two books were non-fiction and the design was relatively easy. 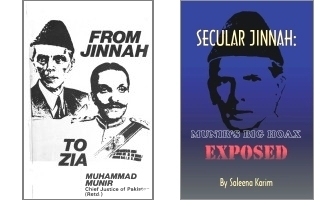 For SJ1, since the focus was on Chief Justice Munir’s From Jinnah to Zia I decided on a cover that would imitate the style of his cover as a gentle jibe. 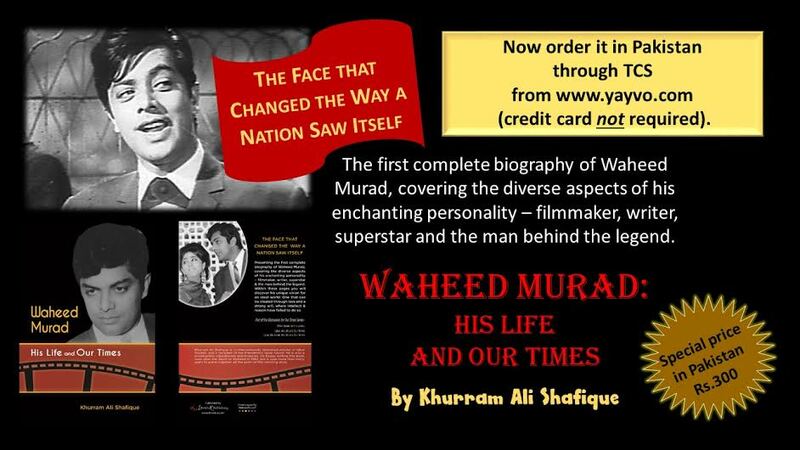 So I used a black silhouette of MA Jinnah on the front, and picked fonts that made the reader think about an exposé. SJ2’s cover took me a little longer. I thought: what is the central theme? 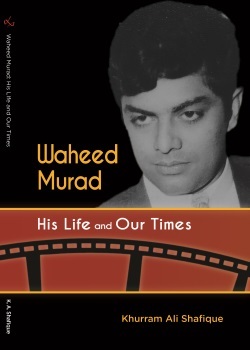 The obvious answer was the Pakistan idea, but unlike SJ1, this title was also a biography on Jinnah. 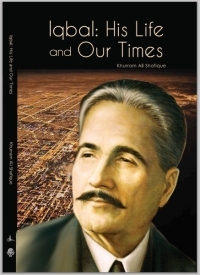 And yet I also didn’t want Jinnah on the cover a second time. Eventually I hit upon the idea that since the book discusses Jinnah’s vision for Pakistan, this is what needs to be on the cover. 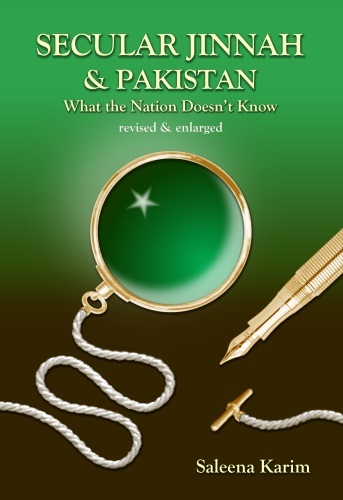 The result was what you see to the right: Jinnah’s famous monocle containing the crescent and star of the Pakistan flag (the crescent is the right way round!) and a pen indicating Jinnah’s constitutional approach. Vision. Get it? Now these were just my ideas. A professional graphic designer created the artwork based on what I described to him. 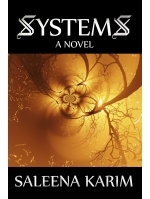 As for Systems, coming up with a concept was the most difficult. With fiction, you have literally created a universe and so you have endless possibilities. The core of the story may actually seem elusive to the author for a while (hard to believe, but true). For a long time I was going to put a devil and angel design on the cover. There’s an oil painting in the novel where the devil is white, and the angel black. This was a metaphor for the idea that things are not always as they seem. But whilst this is close to the core of the story, that’s not absolutely the statement I was after. In the end I went with something simple. Trees are everywhere in the novel. The opening line makes a reference to a tree. Place names likewise point at trees, and some key scenes take place in a forest. They represent the core of the story, as borrowed from an ancient metaphor linking trees and systems. I had a public domain image on my machine of a tree in a foggy sunset. When I added a certain kaleidoscope-type graphic effect, it turned that tree into the closeup of a neuron network. Or at least, that’s what I see. It could be the centre of a nebula. Or the tiny roots from a germinating seed. At any rate, it’s a familiar and recurring pattern in nature. It’s simple, it represents the metaphor nicely, and it has a mysterious mood (since there is a great deal of mystery in the story). The title uses a mix of bold fonts that make it at once old-looking and modern. Whatever concept you come up with for your cover design, be sure it’s true to the inside of your book – its heart. At the end of the day, that’s what your potential readers want to know about. And of course, a well-written blurb helps too. But that’s another subject.